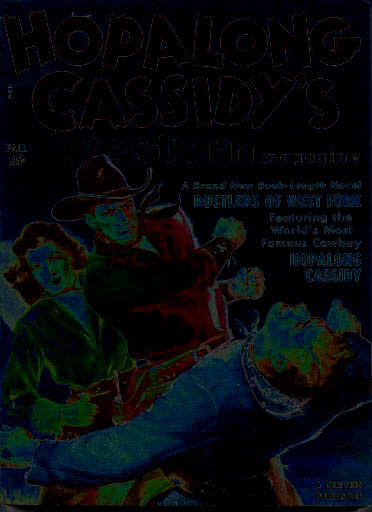 Our rare and matchless LOST WORLDS 1940s Western jacket. Unduplicated anywhere. Time capsule evocativeness and so imaginatively American that the mundane and spiritless crowd is agape in incomprehension! (Authenticity, individualism, has been purged out of them, leaving witless shells, carapaces.) 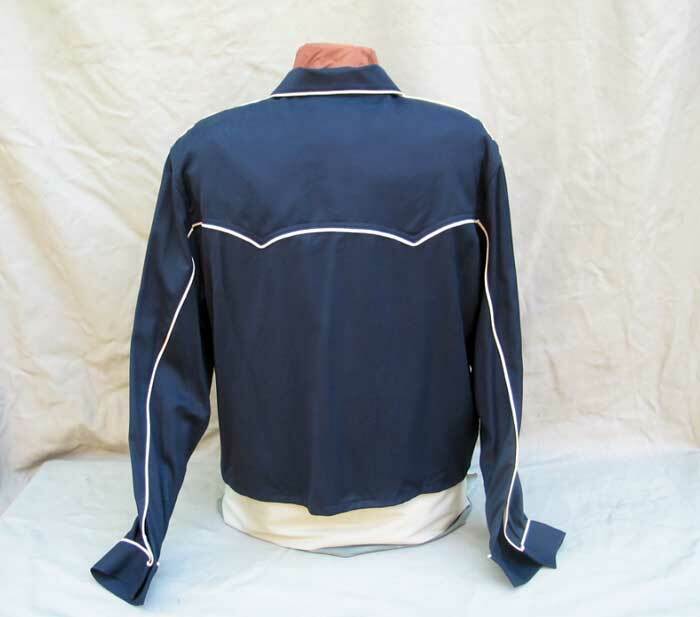 Rayon Gabardine, Vintage Heavyweight Silk Satin or Pure Cashmere with Camel Hair Trim. Pale Antique Gold Rayon Braiding. Pearl Snaps. Peek-a-boo flap pockets. 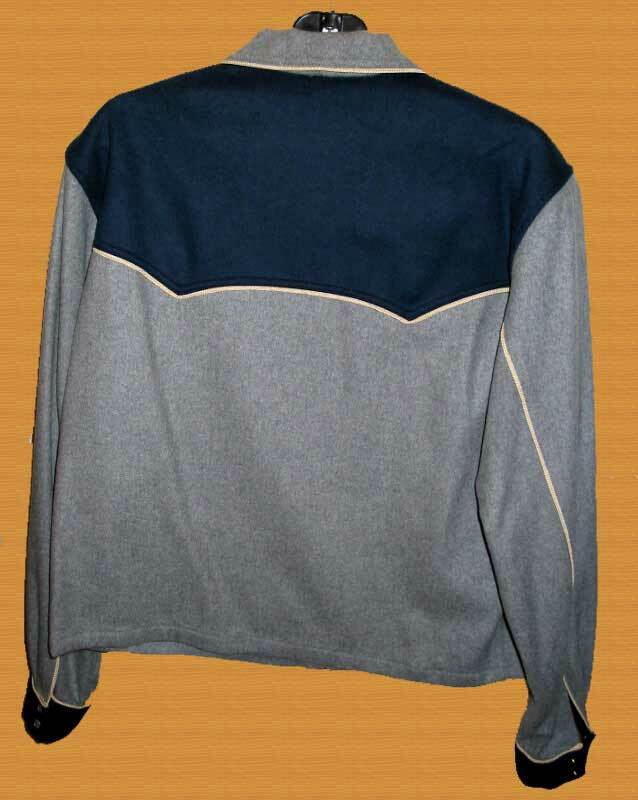 In Solid and Two-Tone Colors. Not for the timid -- not that it's outrageous to begin with -- merely that we make it to self-destruct if worn in a minivan or a Starbucks. A jacket for us, not them. What's Rayon Gabardine? The classic fabric of 30s-50s America. Rayon derives from extruded, processed cellulose pulp. It's much softer than cotton with a flowing drape that has imbedded itself unconsciously as our images of American style and grace in the movies of the period. Preston Sturges is Rayon, if you'll permit us to be elliptical! 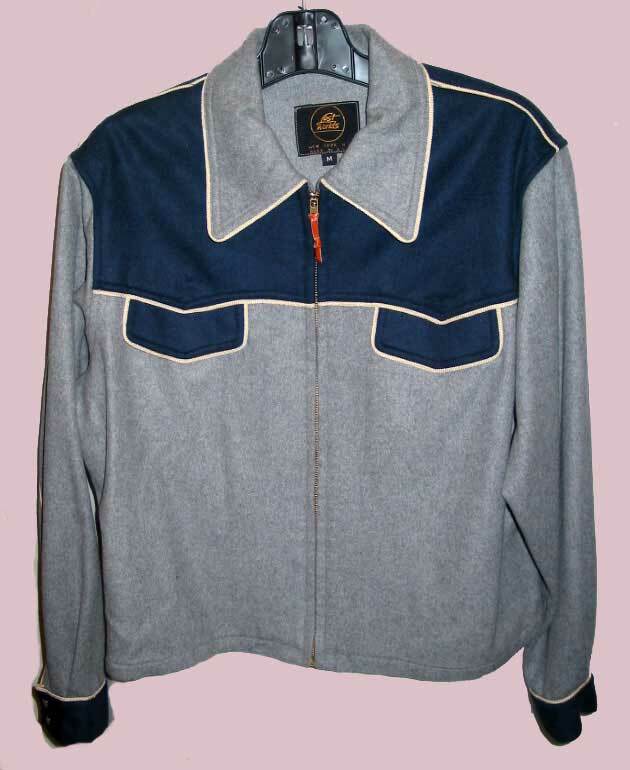 No one obtains and uses Rayon Gabardine any longer. And ours has the correct weight as well. Not thin and girlie. It needs either hand washing and reverse, protected ironing or dry cleaning -- of course these are very fancy shirts and no one would throw them into the washer anyway. But in the 50s fully synthetic, artificial fabrics overtook Rayon as prosperity put washing machines and dryers into every suburban tract house. It was the beginning of the Easy-Is-Best ethos that's put us where we are today. Hence the path-of-least-resistance anomie that defines the younger generations. People then forgot that it wasn't an either/or -- that some things deserved different care because their benefits were different, more intense, better. Zombied by tranquillizers and martinis, Mom couldn't be bothered. The Fast Food Mentality, brainwashed by television with fake images of Space Age America, led to polyester. 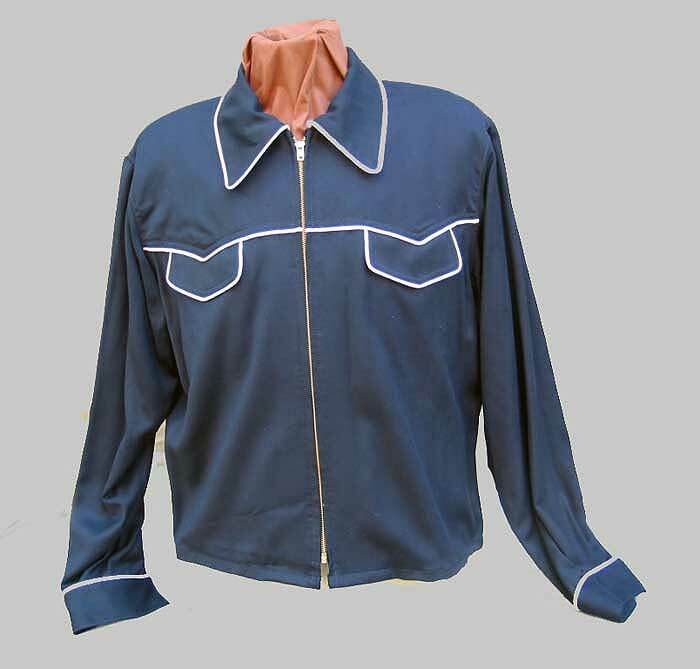 Much as we love Lawrence Welk, these jackets and shirts aren't for Larry and the campily giggly white bread mindset. Now, how about buyin' a-one-and-a-two!